Who decides for our schools next Tuesday? School board elections are next Tuesday, May 8–and we want as many people to vote as possible. Will you be at the polls? I hope so. Our kids are counting on our votes, because when we show up, it means we care and that we’re paying attention. But in the past, just about 1 percent of our neighbors have turned out to choose the school board members who run our public schools. 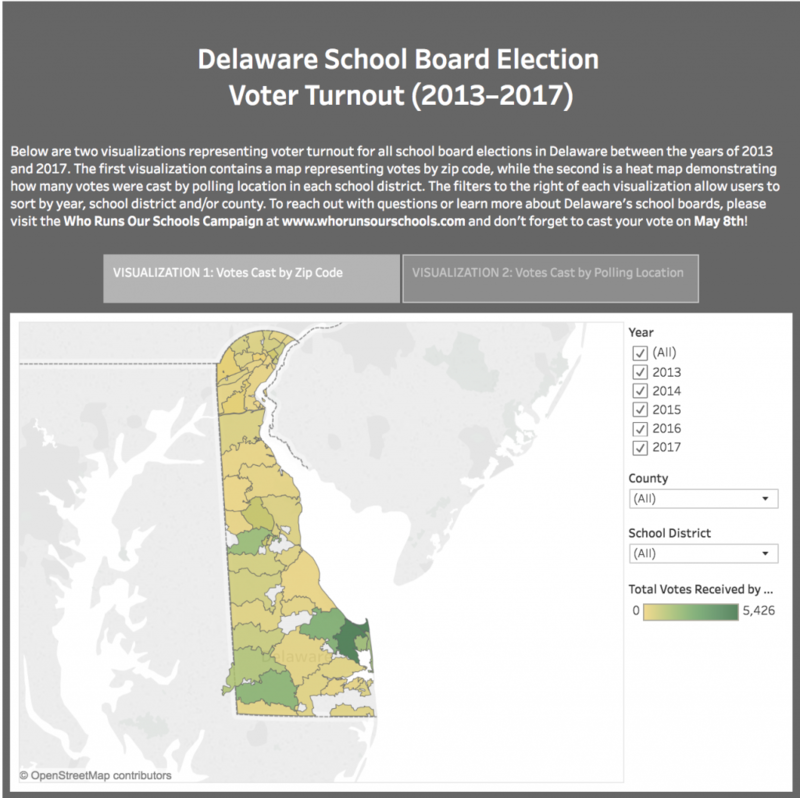 Today we released an easy-to-use map of Delaware based on how many registered voters have turned out for school board elections since 2013. The numbers are startling–take a look, and find your district by using the menu on the right. You can search by zip code, or you can drill down to your nearest polling location. Whatever the numbers are, I hope you’ll add yourself to the count on May 8. I know that voting in local elections can be hard mainly because there’s nowhere to go for straightforward information. DelawareCAN began removing those barriers this year with www.whorunsourschools.com, a campaign to get Delawareans voting! Here you can learn about your candidates, find your polling place, plan your vote and explore even more research about school boards across the state. Pass it along–and I’ll see you next week! From the Publisher: Can Delaware Improve its Struggling Schools? How diverse are Delaware schools? See for yourself. Take action to make school spending transparent!